We have a few updates on how we make pizza at Jester King, which we’re really proud of and think are pretty exciting. Our pizza dough is now made with 100% Texas grains and fermented with our mixed culture of native yeast and bacteria (the same culture we use to ferment our beer)! Our goal for our beer is to make an agricultural product uniquely tied to a time, place, and people, and we’re happy to say our pizza is now no different. Over the last several months, we’ve been experimenting with wild fermentation and native grains. We’ve been adjusting variables such as time, temperature, and hydration rates to create dough we’re happy with. We could have written more or less this same sentence about our beer, because it’s the same principle. We’re harnessing grain with roots in Texas soil and the microflora that surrounds us to make something that could only exist at a certain time and place. We’re happy to say that after months of experimentation, the same mixed culture of native yeast and bacteria we created around six years ago to ferment our beer, now ferments our dough. It’s a great symmetry, that in our opinion, breathes more life into our philosophy. Why use all Texas grain? We’d say it’s because of two main reasons. One, it’s a chance to support Texas farmers and local business. 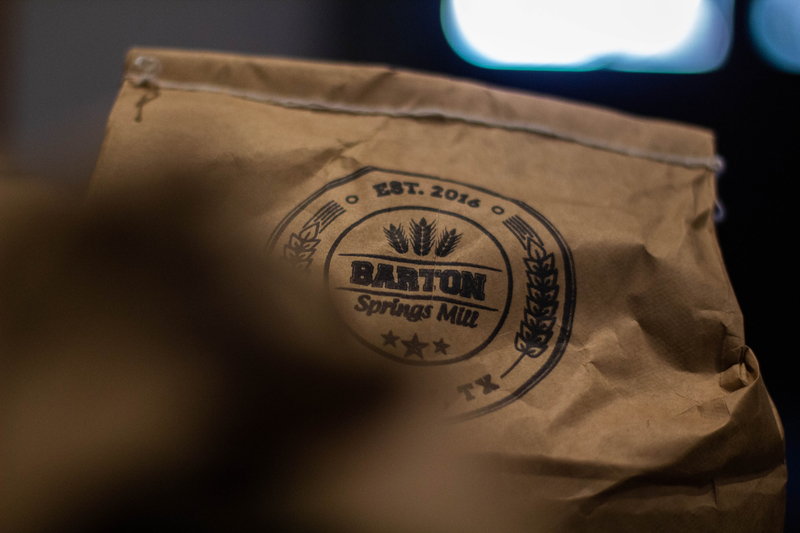 Our grain comes from Barton Springs Mill (BSM), which is a small, independent business located about four miles from Jester King. Its proprietor James Brown has spent years developing a network of Texas farmers and convincing them to grow heirloom and landrace grains. We’re proud to support BSM and the local economy they help maintain. Two, it’s about making something unique to our place and time. That’s what we’ve been about at Jester King for eight years now, and we’re happy to apply it to something new like dough. Our process (like with our beer) is very simple. We take well water and mix it with salt and stone-milled TAM 105 wheat from BSM. TAM 105 is a hard red winter wheat developed in the 1970s by Texas A&M University. The TAM 105 we get from BSM was grown in Miles, Texas, about three hours from Jester King. We do a 72 hour cold ferment to develop a little funk and acidity. When the dough is ready, we wood-fire it in an 800 degree Fahrenheit oven to develop a nice rustic char. We top it with local produce, vegetables from our own farm, and/or house-cured meats. The only meat we’re not curing in-house right now is pepperoni, which we’ll do in the future. Finally, another similarity with our beer is a desire for balance, subtlety and restraint. Our Executive Chef Damien Brockway subscribes to this philosophy, as well as our brewing team. We seek to achieve a balanced flavor profile that emphasizes herbaceousness and umami over heavy protein and dairy. 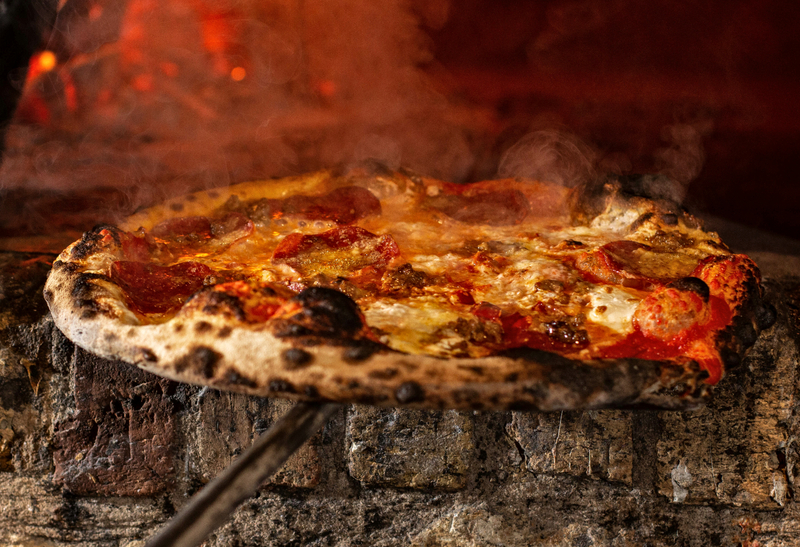 We hope you choose to experience our pizza at Jester King! Like we said, it’s now an extension of how we make beer, which we’re very proud of. It was a long road to get to this point, but one we’re happy to have taken. We very much hope you enjoy. Cheers! 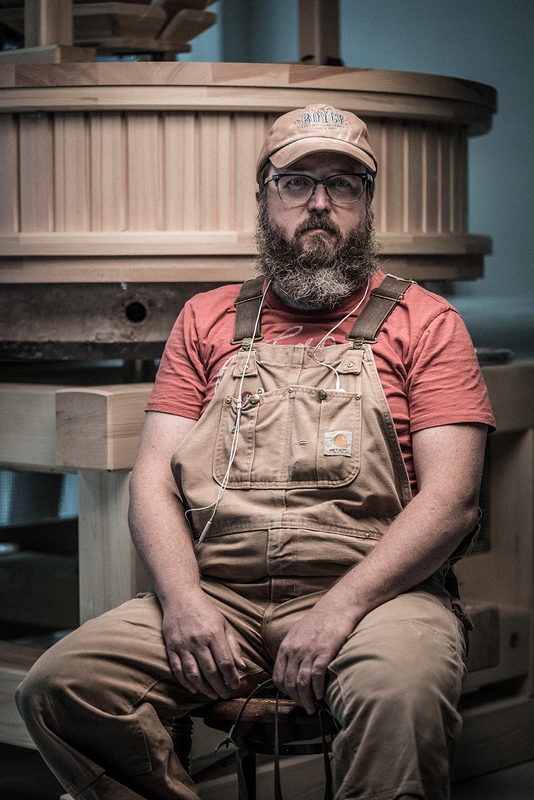 ...and a photo of our friend James Brown from Barton Springs Mill!